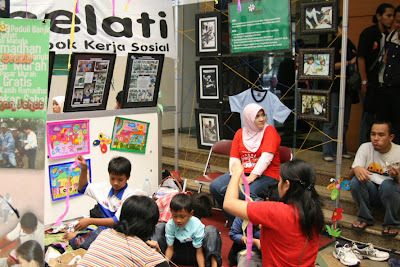 World Book Day 2007 in Jakarta was organized at Gedung A Depdiknas, Jl. Jend Sudirman, Jakarta, from April 26-29. By chance I got information about the occasion from Kana Haya, and I went there with Shamien on Saturday, April 28. The program has actually been started on April 23, the date that was decided by UNESCO in 1995 as the World Book Day, and will end on May 5. 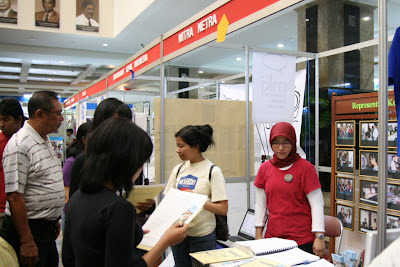 The first WBD in Indonesia was organized in 2006 last year. It's amazing and quite encouraging to know that there were lots of positive activities organized during the World Book Day Festival. 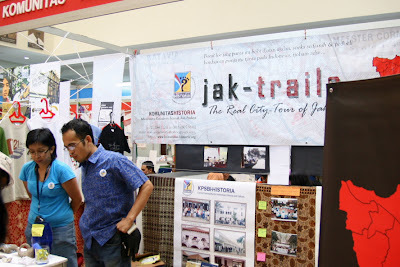 Whilst the place, the participants and the booths were not as glamour as Indonesia Motor Show or Electronic Fair, but this festival is actually far more important for our future as a dignified nation. Hence it actually needs a lot more support from both the government, private intitutions and all of us. There were talk shows at the main stage and inside the Library on the second floor. One of the participants is Yayasan Mitra Netra that invites volunteers to help them to produce more books in Braille. To be a volunteer, we can either register on-line at Mitra Netra e-book, or contact netra@dnet.net.id. The only thing that we need to do is to type a book that we chose in MS Word (or scan using OCR software) and send the soft copy to Mitra Netra. The soft copy will be transferred by Mitra Netra to Braille file, using Braille Converter software, and finally to be printed as Braille book. 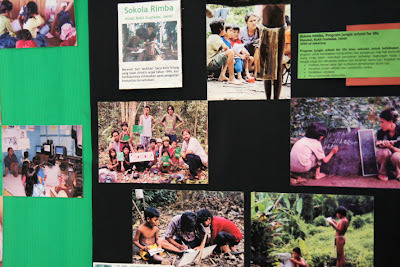 The World Book Day activities is organized by Indonesia Literacy Forum with the support from National Education Library Information Center Depdiknas and Humas Setjen Depdiknas.